The Houston Baptist University Master of Science in Management and Entrepreneurship program joins business theories with modern strategies for developing, designing, and carrying out new ventures. It assists with the incubation of products, services, businesses, and ministries through educating and assisting potential entrepreneurs with discerning their purpose and passion. This degree combines the prestigious Archie W. Dunham College of Business with the innovative HBU McNair Center for Entrepreneurship and Free Enterprise. Students study all facets of business, ranging from startup to stewardship, in the one-year program. The degree is specifically designed for those that did not major in business at the undergraduate level; consequently, no business leveling courses are required. Houston Baptist University has a new MSME program after receiving recent approval from the Southern Association of Colleges and Schools, Commission on Colleges (SACSCOC). The Master of Science in Management and Entrepreneurship (MSME) degree is ideal for those who wish to take their business and entrepreneurial skills to the highest level. Learners gain strategies for their business ventures. Classes are offered over the course of 23 weekends on Fridays and Saturdays. Potential entrepreneurs who want to own their own business. Individuals interested in developing their intrapreneurship skills. Innovators who want to work for a startup that aligns with their purpose. Busy people who want a master’s program that fits into their work schedule. Leaders who want to incorporate design thinking and attitude into their current role. Those who did not major in business as undergrads or received their degree long ago. Practitioners ready to launch ideas to the market – nurses, artists, engineers, scientists to name a few. Learn more about the MSME, and apply for the degree program, on our admissions requirements page. An entrepreneur is simply someone who takes ownership of his or her work and is ready to bring innovative ideas to market. Whether developing one’s own venture or working for a large corporation, the entrepreneurial mindset is a valuable framework for action. 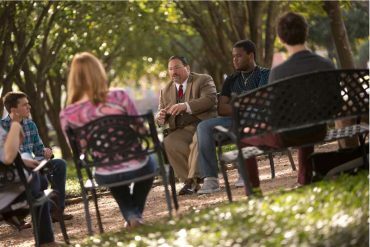 In HBU’s program, students learn from accomplished professors in the field. Bold ventures are developed through purpose and passion with leading strategies from theory and practice. Like the rest of the University, the HBU MSME program espouses the importance of Christian ethics and strong moral leadership. The MSME is offered lockstep over the course of one calendar year. New student cohorts begin in the fall. A total of 33 credit hours are taken across 11 courses spread over Fall, Spring, and Summer terms. The program allows for the work week; classes meet in-person 23 weekends over the year on Fridays and Saturdays. 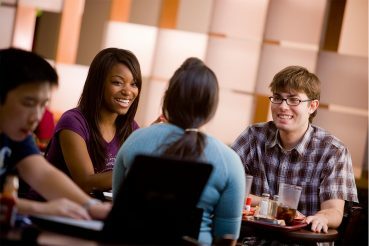 The HBU Archie W. Dunham College of Business provides an intimate and supportive learning environment. One of the most rewarding aspects of participation for students is the relationships they form in their cohort. The program is designed to be experiential and to focus much like a startup incubator with a focus on new ventures that contribute to a flourishing society. Students may come in with, or purposefully discover, an idea for a product, service, business, nonprofit, or ministry. 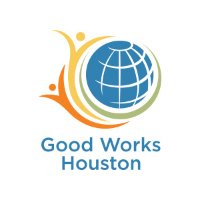 They then develop and follow their passion, often with the help of strategic business partnerships in the Houston area and beyond. Classes will meet face-to-face on the HBU campus over 23 weekends, with the remainder of course requirements taking place online. 3 p.m. to 5:30 p.m. and 6:30 p.m. to 9 p.m.
9 a.m. to 11:30 a.m. and 12:30 p.m. to 3 p.m.
A light dinner on Friday and lunch on Saturday are provided between classes. There are 23 in-person weekends on the HBU campus, the remainder online. The course schedule is sequential, building from design and financial planning to marketing and beyond. Download a copy of the course descriptions and schedule. This course focuses on the core principles of economics, with an emphasis on the specific terminology, models, and concepts describing the micro-economic entity of the firm. It will also integrate the core tenets that drive the American market system of free enterprise. Topics will include: a) producer supply, buyer demand, and the four market structures of monopoly, oligopoly, monopolistic competition, and commodity-based perfect competition; b) marginal analysis of revenue, costs, profits, and productivity; and c) integrating pricing, revenue, and margins into decision making for the emerging entrepreneurial venture. This course focuses on the core principles of entrepreneurship and the processes involved in developing new ventures. Entrepreneurs function in start-up companies, emerging growth ventures, and a wide range of strategic small business development. Topics include: a) recognizing and quantifying market opportunity, b) the integration of creativity and innovation in problem-solving through a new products or services, c) assessing the risks of competitive product-market positioning and costs-benefits, d) the relationship of networking and perseverance, e) the role of venture capital and angel-investor networks, and f) the different types and stages of entrepreneurial ventures. This course focuses on the integration of models and constructs from managerial accounting and corporate financial management – developing perspectives and applications specifically for entrepreneurs engaged in new venture development. The objective is to equip entrepreneurs with an exceptional working knowledge of accounting and finance matters directly related to managing an emerging firm. Topics include: a) detailed financial ratio analysis of the balance sheet and income statement, b) a comprehensive understanding of the time value of money – using both a financial analyst calculator and computer spreadsheets, c) pro forma modeling of cash flows, assets, debt, and equity, d) capital budgeting – net present value [NPV], internal rate of return [IRR], and benefit-to-cost ratios [B:C], e) tax accounting issues for C-corporation, Subchapter-S, and LLC venture structures, f) Sources and Uses of Funds budgeting, and g) investor capitalization and valuation techniques for privately-held companies. This course focuses on innovation’s role in 21st Century organizations, with a systemic approach to building innovation capabilities, along with the challenges of integrating the many facets of innovation management. Leading innovators and building innovative organizations are covered from both theoretical and applied perspectives. Topics include fundamental theories of innovation, developing an innovation strategy, innovation as a business process, the role of the innovation context including leadership and organization, culture and values, people and skills, processes and tools, and assessing and improving innovation performance. This course focuses on the core principles that comprise the formal creative process whereby entrepreneurs trouble-shoot problems in a given market, recognize a clear product-service opportunity and then target an innovative-creative solution to meet the potential upside demand. Topics will include: a) the formal market-mapping process, b) developing a detailed competitive matrix for any market, c) formalizing the creative process into specific stages, models, and quantifiable outcomes, d) product-service feasibility studies, and e) pro forma opportunity forecasting and sensitivity analysis under various assumptions. This course focuses on how entrepreneurial teams develop successful marketing strategies for start-up and emerging growth ventures. The emphasis is on assessing the external competitive environment, creating a distinctive price-features profile for the product-service concept, leveraging high-level partnership-referral networks, and executing the marketing message around a clear value proposition for specific target markets. Topics include: a) stages product development life-cycles, b) mapping the existing competitive environment, c) mapping the projected future market profile, d) product-service adoption stages among buyers in a target market, e) marketing research principles, methods/models, and assessment, f) aligning the product-place-promotion-price components for the product-service offering, g) potential partnerships and referral networks to drive market awareness, h) promotions-public relations- advertising tactics, and i) packaging and merchandising for in-store and online selling. This course focuses on the core concepts and best practices used to build sophisticated financial models for entrepreneurial ventures, including high-level scenarios analysis and valuation techniques for privately-held companies. Topics include: a) developing macros and interactive cross-tabs functions in MS-Excel spreadsheets, b) configuring multiple variables with “what if” scenario impacts and rationales for financial models, c) accounting for risk and managing quantitative and qualitative components into the models that directly impact the decision making of entrepreneurial managers, d) establishing solid metrics and sound underlying rationales for pre-money and post-money valuations of pre-public business ventures, and e) relating cash flow and operations models to changes in firm valuations. This course focuses on the entrepreneur’s development of a comprehensive business plan, executive summary (XSumm), and slide presentation for a start-up or emerging growth venture. Topics include: a) the common “8 Facets of New Ventures”, b) the competitive matrix, c) the Uses of Funds schedule, d) pro forma cash flows and venture potential, e) investor capitalization sheets and venture legal formation, f) the Business Model for the product-service, g) the format and targeted uses for an Executive Summary (XSumm), h) the business plan slide presentation (the pitch), and i) the format and attendees at public and private venture forums. This course focuses on the development in entrepreneurs of sound Biblically-based ethics and a stewardship-based perspective on all facets of the new venture development process, such that clear a priori bases in ethics and stewardship will inform and guide all aspects of the entrepreneur’s decision making. Topics include: a) absolute vs. relative truths, b) developing a Biblical worldview, c) servant leadership, d) faith, wisdom, discernment, and venture decision making, e) personal and professional stewardship, f) income, wealth, debt, and philanthropy, g) personal data, business surveillance, and privacy, h) free market self-interest, profit motives, and risk, i) personal vs. corporate responsibility and j) employee wealth, ownership, vesting. This course focuses on the development and on-going management of targeted social media strategies for emerging entrepreneurial ventures. Topics include the launch, start-up and on-going costs, performance metrics, and operating logistics for utilizing widely available social media platforms within a formal, well-coordinated strategy for success. This course focuses on bringing together and integrating all facets of the program into a comprehensive entrepreneurial experience where students consult to a Houston-area entrepreneur/founding team on the complete new venture development process. This experience provides a “working lab” within which the full complement of the MSME courses come together in a formal, systematic manner. Topics include: a) comparisons-contrasts of the consulting venture and the student’s own proposed new venture, b) engaging in high-level dialogue with an entrepreneur/business owner across a wide range of pros and cons related to all facets of the venture development process, and c) recognizing various opportunities for strong ethics/morals throughout the many levels of entrepreneurial leadership in the firm. The MSME program is led by full-time faculty at HBU who have been successful innovators, practitioners and business owners themselves. Dr. Ellen Clardy worked as a consultant in the oil and gas industry prior to becoming faculty, focusing on the wholesale trading of natural gas and power. Her research projects focus on the pedagogy of economics to improve student learning and how antitrust laws impact the market system because a functioning free market system is vital to our economy. Clardy has a PhD and an MA in Economics from Rice University in Houston, and a BA in Economics from Trinity University in San Antonio. 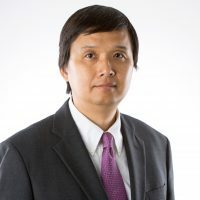 Dr. Michael Chuang specializes in management, strategy, innovation, and technology; he focuses on experiential learning and on practical application. He has consulted with technology and businesses, helping develop strategic plans and outreach opportunities. Dr. Chuang’s research interests range from communication technology to risk management. 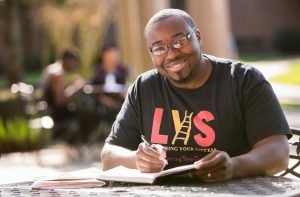 He earned a PhD from the University of Illinois at Urbana-Champaign, and his professional experiences include transportation, engineering and technology management. 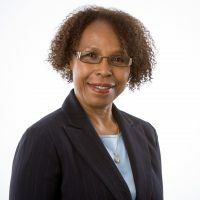 Dr. Bettye Rogers Desselle, CPA, has more than 25 years of experience working with small and medium-sized businesses. Before starting her academic career, she owned a CPA firm where she served as a consultant to businesses for general accounting/information systems, tax and audit matters. As a faculty member, her research interests include the studies of nonprofit and small businesses, auditing, and accounting information systems. 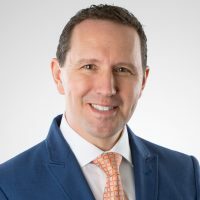 Dr. Desselle earned a PhD, an MBA and a BS in Accounting from the University of Houston, the University of Wisconsin-Madison, and Louisiana State University, respectively. Dr. Luo has more than 15 years of professional experience in international business, stock, future and foreign exchange trading. His research interests focus on corporate finance, global financial markets and institutions, and emerging markets finance. 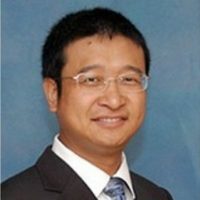 Luo has a PhD in Business Administration/Finance from The University of Texas-Pan American, an MS in Management from the University of Science and Technology of China, and a BS in International Business from Chongqing University, China. Dr. Timothy Ewest has consulted with organizations on matters pertaining to leadership development, strategies, ethics, diversity practices and fundraising. His research interests include issues surrounding faith and work, leadership and pro-social behavior, and leadership in social entrepreneurship. Ewest earned a DMgmt and an MBA from George Fox University in Newberg, Oregon, a DipCS from Regent College in Vancouver, B.C., an MA in Philosophy from Wheaton College in Wheaton, Illinois, and a BA in Theology from Crown College in St. Bonifacius, Minnesota. 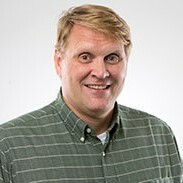 Jeffrey Frey was the founding academic director and serves as an adjunct professor for the McNair Center for Entrepreneurship and Free Enterprise at HBU. He has more than 20 years of experience in business innovation and entrepreneurial activities. His research interest revolves around the well-being of leaders and its impact on business outcomes. Frey has an MBA from the Jones Graduate School of Business at Rice University in Houston, an MS/BS in Computer Science from Kent State University, Ohio, and is completing a Doctor of Philosophy from Case Western Reserve University’s Weatherhead School of Business, Ohio. Tuition for the entire 11-course MSME program is $31,350. This tuition is based upon the HBU College of Business graduate degree program fee of $2,850 per three-credit-hour course. Scholarships are available. For consideration, applicants must fill out an online form and submit a 600-word original essay describing your current or future entrepreneurial plans for starting a new venture and how your business activities will contribute to the creation of a flourishing society. HBU alumni scholarships and discounts may be applied as well. Financial Aid may also be available. Please contact HBU Graduate Admissions for more information. Uniquely created for the McNair Center for Entrepreneurship and Free Enterprise at HBU, the Lighthouse Lab, a maker space, provides an ideal collaboration environment for idea advancement. Students in the MSME program will use the space to meet with mentors, collaborate on ideas, make prototypes for their solutions, and practice their pitches. The best success stories have supporting characters. HBU is blessed to have business partners in Houston and beyond. Connections with individuals, associations, and organizations enhance the learning and business venture process. The following businesses and individuals will assist MSME students along their journeys in business development and degree program work by acting as clients, subject matter experts, mentors and coaches. The HBU campus is conveniently located in the City of Houston, with easy access to travel hubs and lodging. 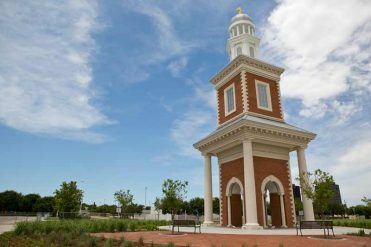 For more than 50 years, Houston Baptist University has served the Houston area and beyond by offering a world-class education through many academic programs. We are a Houston classic, growing in the heart of the city we call home. Thousands of people have achieved their career and personal goals by obtaining a degree from Houston Baptist University. 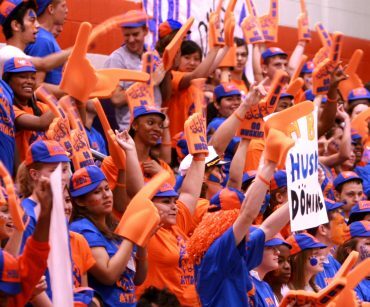 This HBU Archie W. Dunham College of Business degree program is generously supported by the McNair Center for Entrepreneurship and Free Enterprise at HBU. Learn more about the Robert and Janice McNair Foundation.